Magic Carpet Cleaning is a company with many years experience in the industry. We strive to deliver the best results with every job we take. Our cleaners are vetted and trained very well. Also, we use over fifteen different child safe and environmental friendly detergents, depending on your carpets fabric and condition. 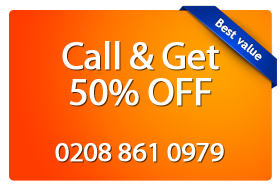 Call us now on 0208 861 0979 to get free, no obligation price quote. Don’t worry about the environment. We are using only eco-friendly cleaning agents. Cleaning and washing of delicate materials are of great concern and no one would like to spoil the material with rough wash by shampooing it and without it, it’s difficult to wash. Magic Carpet Cleaning provides wide range of cleaning services in Brent Cross NW4 such as rug, carpet and upholstery at very competitive rates Our company has been known with their polite cleaners and high quality service delivered at very affordable rates. Our experience and knowledge about stain removal and cleaning are second to none. Call now and book a service! Our polite assistants will offer you a free no obligation quote and will inform you about our latest deals. As alternative you can just fill our online booking form below and we will contact you shortly. We aim to satisfy even the highest expectations of our customer and deliver a flawless service that would make your carpets and rugs look like new. You can call us right now on 0208 861 0979. Our customer support lines are open every day of the week. If you provide us an information about your property, you will receive a free price quote.